Two of Canada’s most creative thinkers… together for a once-in-a-lifetime lecture! What can you say about a man that defies explanation? (Actually, we get a few of those in the Lounge… but this time it’s in a good way!) Christopher Taylor is a mentalist of the highest calibre! He has created effects for some of magic’s biggest stars and is also the man behind an array of hit magic products, such as Equinox, T3 and Real Ghost. He was the first magician outside the UK featured to be featured on an ‘Inner Mind’ DVD and is the author of two best-selling magic books Inside Out and Unconventional (H&R Press). Get ready to learn the kind of magic that makes the hair on the back of your neck stand up… Get ready to learn the mind magic of Christopher Taylor. 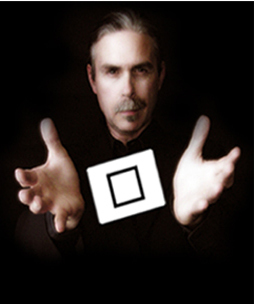 Matthew Johnson is a professional magician, lecturer, actor, comedian and magical inventor. His magic effects, books and DVDs have been sold to magicians all over the world, and several in Sheffield. 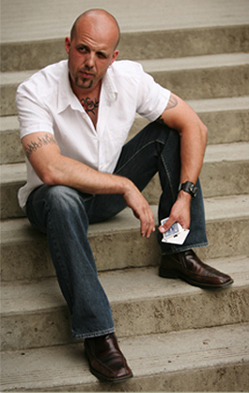 He is proud to be featured on other magicians’ projects; in 2009 he can be found as a guest performer the True Astonishments DVD set by Paul Harris, The Solstice Wallet (Christopher Taylor) and both The Chosen and The Crossroads by Tony Chris! Two great lectures for the price of one. Don’t miss this. There’s a lot of interest being shown and we’re expecting a full house. Please let us know as soon as possible if you’re coming. Limted number of tickets remain at £10. Christopher and Matthew will be at the Magick Lounge, 82 Broad Street, Sheffield, S2 5TG, on Friday 16 October 2009. Doors open at 7.00, lecture starts at 7.30. Booking my train ticket now. Your ticket is reserved. Look forward to seeing you. Thanks. Just wondering: Athletic Tape… do you wear it or run through it at the end of a race?